The Storm - 3 wheel Bariatric scooter - This the first affordable 3 wheel Bariatric scooter in its class! The 500 lb. weight capacity, top speed of 8 m.p.h. and 22" wide high back, semi reclining seat make the Storm stand alone in its class. The many heavy duty features include a 3.25" ground clearance, 13" drive tires, 12 degree climbing angle, rear suspension and 30 mile travel range. The 37 inch turning radius makes this heavy duty scooter great for maneuvering in smaller homes. 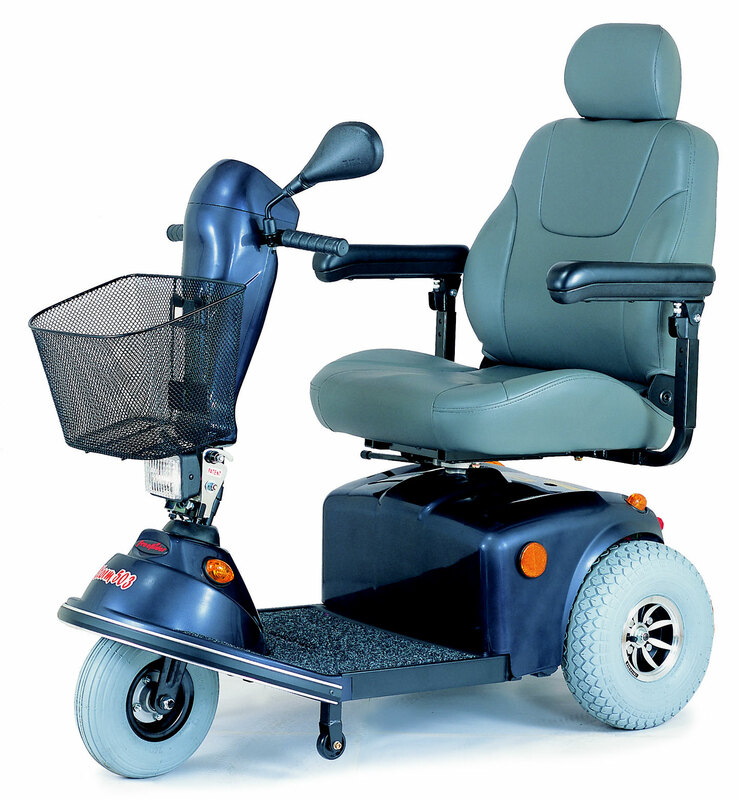 Add to that the extra amenities of full light kit (including head light, tail light and directional signals), swivel seat, removable head rest, flip-up, width adjustable armrest, front basket, rear view mirror and much, much more!!!! Heavy duty weight capacity of 500 lbs.!!!! Wheel Size Front 12", Rear - 13"
Top speed of 8 mph. with large 13" drive wheels and 3.25" ground clearance. Comfortable high back 22" wide x 20" deep swivel and sliding contoured captains seat with flip-up, height and width adjustable arm rests and removable head rest. Full light kit includes head light, tail lights and turn signals. Powerful 24v DC motor w/sealed transaxle. 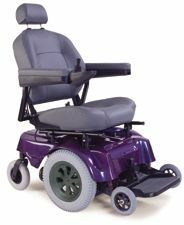 Seat High back, swivel, sliding, contoured captains seat with removable headrest.